Redeeming miles on partner airlines is an easy way to increase the value of your frequent flyer miles. Unfortunately, it’s also one of the most commonly misunderstood, and a daunting task for first-timers. How do you know which airlines you can book? Do you book through the frequent flyer program you’re using, or the airline you wish to fly? Does redeeming miles on partners cost the same number of miles as a standard saver award? And perhaps the one question that rules them all; how on earth do you find airline partner award availability? Before we go any further, the one thing we want to point out is that when you book a flight on a partner airline, you don't transfer your miles from one airline program to another. 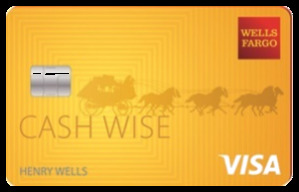 You use the miles you have, no transfer required. We'll explain further, but make sure you remember this key point. Airline alliances and partnerships can expand the number of destinations available with your airline miles. Today we’ll cover the basics of how to find airline partner award availability, and hopefully, leave you with a basic understanding of how to search out partner awards on your own. Bear in mind this is a broad overview, and we’ll be covering each alliance in more detail in future posts. What Exactly Is a Partner Award? What's the difference between a traditional award ticket, and a partner award? We’ll use United MileagePlus as an example. A traditional award uses United MileagePlus miles to book a United flight. Either a mainline United aircraft or United Express flight, but staying within the United ecosystem on United-marketed flights. A partner award uses those same MileagePlus miles to book one of United’s partner airlines. Either another Star Alliance member such as Air New Zealand, ANA, or Air Canada, or one of United’s other worldwide partners outside of Star Alliance i.e. Aer Lingus or Hawaiian Airlines. On the flip side, you could use a partner program like Singapore KrisFlyer to book award tickets on United-operated flights. Confused yet? It’s important to differentiate, you are not transferring miles to the partner airline like you would a flexible rewards currency, but booking the partner airline through United using your MileagePlus miles. Where it gets confusing is when comparing airline miles, which typically don't transfer to other programs, with flexible rewards currencies like Ultimate Rewards which transfer to a variety of partner airline and hotel rewards programs. In its simplest form, think of airline miles and flexible travel rewards (such as Ultimate Rewards) each as their own currency. The biggest difference between actual cash/currency and airline miles or flexible travel rewards is that it is a closed system where value, exchanges rates, and the issuing/redemption all happens within the program. This is NOT a free market system. Our job is to understand how to extract maximum value from each program. Can I Use My Miles to Book Any Airline? No. To book a partner airline using miles, the airline you want to fly needs to partner with the frequent flyer program you are using to book the award. Most airline partnerships stem from the three big airline alliances, Star Alliance, SkyTeam, and oneworld®; however, most airlines also partner with additional airlines outside their alliance, and a few major airlines outside the three global alliances have built independent networks of partner airlines. These programs include the Persian Gulf pair of Emirates Skywards & Etihad Guest (Qatar being a member of oneworld®), plus our favorite frequent flyer program, Alaska Mileage Plan. To book a partner award, the partner airline needs to have the lowest-level of award space available, often referred to as saver award space. If the only award space you can find on the partner is standard, or, the award travel equivalent of blasphemy, you’ll have no luck booking a partner award via another frequent flyer program. Airlines make X amount of space available at the lowest (saver) level. Additional seats are available for a price premium (standard), but those seats are only made available to members of the program, and not partners. The internet is rife with horror stories of folks that have checked award availability on a partner airline, transferred points across from a flexible currency like Ultimate Rewards, and attempted to book the award only to discover the award space they could see online was phantom award space, essentially a glitch in the award travel matrix. You can mitigate the risk of phantom award space either by calling a reservations agent to confirm the award space before you transfer points, or checking on more than one of the recommended websites. Point transfers are typically final once processed, so this is not part of the process you want to skip. Something else we need to factor in is that many airlines release more award seats to their own loyalty members than they do partners, so partner award availability can be harder to find on those carriers. A good example of this in practice is Singapore Airlines’ KrisFlyer program, which releases more saver-level seats to KrisFlyer members than it does to partners, with Singapore’s awesome first-class product only available using KrisFlyer miles. Finally, not all airline partners can be booked online. Each frequent flyer program will have some partners that can only be booked with an agent over the phone. What exactly do we refer to when discussing partner award availability. Let’s say you want to fly from the Mainland U.S. to Hawaii. Some options include flying American, United, Delta, Alaska, or Hawaiian using miles. You could redeem 45K SkyMiles for a roundtrip economy award on Delta, or, for that same flight, you could redeem 25K Korean SKYPASS miles or 30K Flying Blue miles for the same seats on Delta. In this case, it's cheaper booking a partner award via SKYPASS or Flying Blue to fly Delta, than it is to book a Delta award using the SkyMiles program. Mind blown?!? Booking partner awards also increase the available destinations well beyond where the parent airline flies. If you want to fly to Johannesburg with your United miles, for example, you can fly a combination of United and South African Airways outbound, and TAP Portugal and South African Airlines returning home, using miles from your MileagePlus account. Remember, in all cases saver seats are available. Whether you have Ultimate Rewards earned from your Chase Sapphire Preferred® Card, Marriott points from your Starwood Preferred Guest® Credit Card from American Express, or Membership Rewards earned via a American Express® Gold Card, you can transfer points to airline partners, and redeem those miles on other airline partners, giving you maximum flexibility in your travel. Each alliance is home to member websites that provide fairly accurate partner award availability. 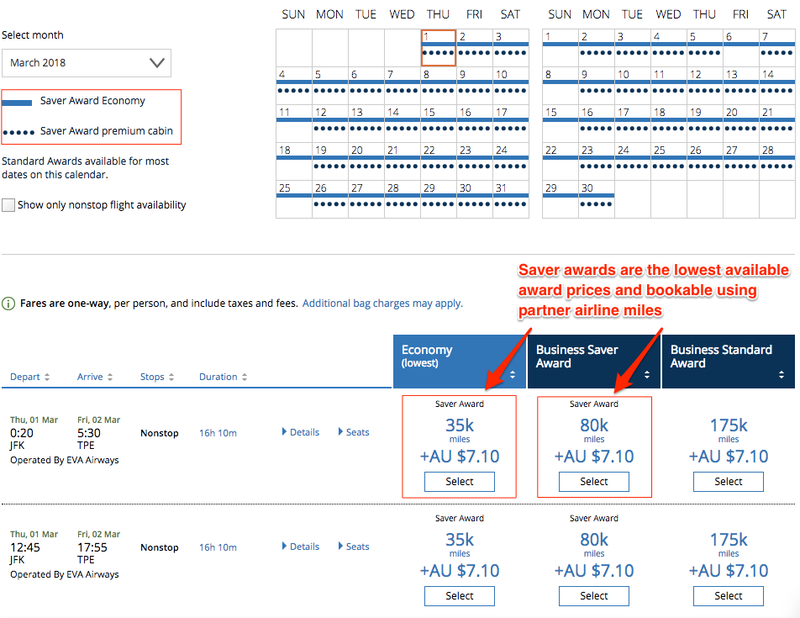 United MileagePlus – Great for the initial search, United’s booking engine can struggle with more than two segments, and the award availability is not always accurate. It doesn’t show award space on Singapore, but you can view two months of availability, you don’t need to be logged in, it’s beginner friendly, and a great place to start your award search. Aeroplan – We’ve detailed the booking process for Aeroplan in a previous post. The results are laid out in a week-by-week format and the multi-city search function works surprisingly well, plus you’ll find Singapore alongside the rest of the Star Alliance members. The most accurate of the Star Alliance carrier websites for partner awards. You will need to sign up to search award availability. ANA Mileage Club – Efficient in the Japanese sense that it almost shows too much information, ANA shows fairly accurate results and is a great place to confirm award availability you’ve found on Aeroplan or United. You’ll need an account and to be logged in to search awards. Catch the details in our guide to booking ANA awards. BA Executive Club – It’s a toss-up between the BA and Qantas websites for oneworld® availability, with the latter my favorite more from familiarity than because it turns up better results. BA’s website is easy to use and will show availability for all member airlines, and the search results are accurate and easy to understand. Qantas Frequent Flyer – The Qantas website offers an easy search experience when compared to the likes of ANA. Qantas offers a month by month view and allows you to isolate the results by class of service, great if you’re scanning results to piece together dates. Qantas doesn’t show all routes flown by oneworld® carriers, not accepting Doha as a departure city during a recent award search, although Qatar is a oneworld® partner. Delta SkyMiles – Delta may no longer publish an award chart, but its partner search ability is ok. Not great, just good. Unlike oneworld® and Star Alliance, there is no ‘best’ booking engine for SkyTeam awards, with Delta, Air France, and Korean Air each having its pitfalls. The upsides to the Delta site are the 5-week search window, plenty of options to filter results, and displays the options in an easy to digest format that instantly shows saver-level awards if available. Just don’t expect all results to be accurate. Air France Flying Blue – Although the Air France website is renown for throwing up phantom space, it’s still the most reliable of SkyTeam’s member websites to search for partner awards. Flying Blue offers sharp and accurate search results for Europe, although those results do tend to favor its own flights over partner airlines. Korean Air SKYPASS – Korean’s revamped website has become another good resource for searching SkyTeam partner awards. In addition to showing much more of its own premium cabin space than the two sites above, we find it a great way of searching availability on other Asian carriers like China Southern and Garuda Indonesia. The interface is easy to use, but prone to throwing up strange error messages when searching premium cabin space and multi-city searches. While you can search Emirates award space on Alaska, it only covers space on specific routes, not Emirates whole network. You’ll get better results searching for Emirates space on Qantas, and leaving the Alaska site for its own award searches. The same goes for Etihad Guest. You’ll find the best resource is the Etihad website, and search for GuestSeat space, which should be bookable with partner programs like AAdvantage. How Do I Know If Award Space is Available? While there are exceptions to this rule, in general, you can assume that if a seat is available for one partner to book, it is available for all partners to book. Meaning that if you see an award seat available on a United flight displayed when you search aeroplan.com, it should be available to all of United's partner airlines and their loyalty program members (including Singapore). Re-read those previous two sentences again to make sure you fully understand. Remember, this isn't a 100% guarantee, you should always double check availability, but it is a safe working assumption. Also, check out the free tool http://award.flights if you want to help speed up the searching process. One of our primary recommendations, when asked about points and miles strategies, is to collect flexible rewards currencies such as Ultimate Rewards and Marriott points, as it opens up so many potential redemptions. You can collect points earned on Marriott co-brand cards, transfer them to Korean Air SKYPASS at a 3:1 ratio, and redeem them for premium cabin award space that you would likely never shell out the cash for. 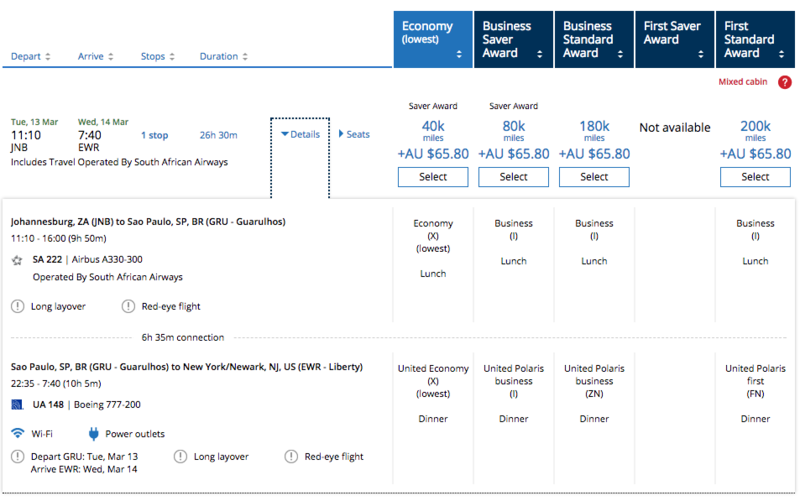 Wrapping your head around partner awards takes time, but the return is an exponentially greater value for your miles. The ability to fly United using Singapore KrisFlyer miles or flying Cathay Pacific using AA miles opens up many more routes, and some fantastic premium class products that you may not otherwise fly if you had to collect miles in that airline's rewards program. If you want to take the easy way out, you can always reach out to our Award Booking Service, and we'll handle the heavy lifting of finding the best flights for your trip. We’d love to hear from you if we’ve missed an easy way of searching partner award availability and if you have any questions, please get in touch in the comments! May be you can guide me with the right information I am going to book united award flights from BKK to SYD in business class for 30K for March 2018 travel. After United devaluation in November 2017 this flight will cost more miles. My question is what happens if I decided to change the dates of my travel from March 2018 to December 2018 after devaluation. Do I just have to pay the change fee or will I require more miles? You’ll be responsible for the change fee and increase in miles. Not sure if anyone else is facing this issue. Lately I stopped searching NH. In the meantime perhaps Awardwallet can post some of the flight searching tools that are useful. Thanks for the Award.Flights link. Seems like it is a pretty cool site that will help a lot with my award searches. Pointimize is another great website that I use a lot to help me prioritize which awards to search for first. On a separate note, I wish JetBlue had a fixed-value point system and airline partners because booking a JetBlue Mint seat through some random partners miles could potentially get me so much more value than JetBlue’s own points. Oh well. Good information but I got a question . You said Qantas is one of the oneworld partners . I did a search on Qantas with their classic award program and it displays between London and Dubai flights operated by Emirates , can I book them with my AA advantage since they appear on their search results ? You cannot because Emirates is not a partner with AA. In this case, remember, we’re using Qantas to search for award seats, but the seats displayed must still be offered by an airline that is a partner of AA if you want to use AA miles. I have booked flights on Lufthansa using United miles and flights on Qantas using AA miles. Very good advice, call reservations before transferring your Ultimate Reward points to verify awards seats are actually available. You mention there’s more award space open to members of airlines own ff programs. Example- an A.A. award flight is 57500 miles, I have 500 miles in my AAdvantage acct, i simply transfer 57000 UR to “top off” my AAdvant acct. As a AAdvantage member, did i have more options open to access all possible award space, different than someone searching the B.A. site for A.A. partner availability? Realizing this thought is not “earn & burn,” because I’ve had those 500 miles just sitting, and say i do this w/multiple f.f. progs. Besides the logistics of multiple prog upkeep, what are the obstacles to that option? Are there more negatives than positives to this approach? Or, is this so obvious & of course everyone already functions this way, LOL! Looking forward to reading more on this topic. Thank you! This scenario won’t quite work. You cannot transfer Ultimate Rewards to AAdvantage so thjat wouldn’t work. AAdvantage members have access to additional seats not available to partners, but they’ll pay a premium (expect 100% premium in price) for those seats. If you search AA the number of sAAver seats you see are the number of seats available to partners. So, if someone searches BA’s website for AA flights, the only flights they’ll see with seats are ones that AA displays as sAAver on their site. At the same time AA will display AAnytime seats, which are only available to AAdvantage members. thanks so much Howie, yes makes sense. looking forward to continuing to learn! Using your miles on a partner airline offers some amazing benefits. When one carrier is not so good in say business the partner airline could offer an amazing product instead, great example would be BA – Qatar. Once again a very informative article, many thanks. My favourite partnership has to be Etihad using AA miles, you can get EY 1st for as little as 62,500 AA miles and Biz for 40k AA. United website is one of the better ones on the list. Good tips. Thanks for the warning on phantom award space. This blog is going to save me so much time and money in the long run haha. It’s possible I misunderstood, but if I was trying to book a Korean Air award seat, would I spend the 25k in SkyMiles or would I need to convert them into SKYPASS miles first? I know you’d said early in the article that you don’t have to transfer your (in this example) SkyMiles to a partner, but based on the above quote it sounds like I would need to redeem SKYPASS miles instead of SkyMiles. Hopefully that all makes sense. In any event, you’re right it’s a lot of info. Thanks for putting this together to help the newbies to award redemptions, like myself! I very much look forward to your subsequent articles on the individual alliances. Megan, you cannot convert Delta SkyMiles to Korean SKYPASS. Your currency is Korean SKYPASS miles, which you can obtain if you have Chase Ultimate Rewards, and you can transfer Chase Ultimate Rewards to Korean SKYPASS miles at a ratio of 1:1. Make more sense? It does, thanks for your reply! I am more of an AA flyer so I look forward to your tips on AA awards with its partners. As another commenter has mentioned, I really want to take advantage of an Etihad 1st class Apartment using AA miles! The Air Canada and United partnership is great for me being very near the border here in Michigan. Was even bumped last year on the free flight and given great vouchers from AC, can’t beat that. Whoa, this article is really dense, not for quick browsing. I’m going to have to study this more carefully at a later date. Seems like very useful information. Sometimes we try to come up with ones that you need a cup of coffee to get through. Great post. Thank you! Things are always changing and nice to have a reference point. Thank you for providing ‘everything’ in one place. Favorited for future use. I’m accumulating points all over the place, but have no travel plans because my current job doesn’t provide any paid time off (neither holidays nor vacation days). Not sure I can really get any good redemptions for weekend-only travel. I have 234,176 points with Amex Platinum. I want to cancel the card as last year I had terrible experience in 3 countries as I did not get access to Lounges as they would not recognise Amex (Canada). If I cancel the card I loose the points so I have to transfer or continue the card. 2. Or should I stick with Amex and pay $399 fee. 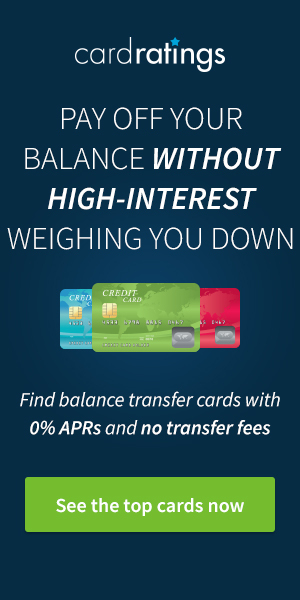 I’d recommend calling Amex to see if there are other benefits on the card to help you decide if it makes sense to keep or not; I’m not versed in all the benefits on the Canadian Amex Platinum card. If you’re going to transfer the points out, transfer to a partner that makes sense based on your upcoming travel. BA or Aeroplan would be a the top of my list. It is hard to wrap your mind around using United miles on another airline or to try to use United to do open jaw and stopover itineraries. Mind blown! I want to figure out how to go to Hawaii using the least amount of miles. Thanks for explaining partner booking. I now have a. Enter understanding of how to do it. I like that you detailed who partners with whom as well. As always a great resource. UA has shown some phantom space on partners when I’ve look recently. nice summary and explanation! thanks! I have some problems for a Copa flight booked with Lufthansa Miles and More miles. United showed me some flights, Copa different ones and when I called Lufthansa to book the availability was again different. Now I see my flight on Lufthansa with the Lufthansa booking code but I don’t see my flight on Copa with Copa booking code. Anyway, when I try to do the check in online in the Copa site the system reply me that it’s still too early to do the check in (this give me at least some confirmation that the booking is present in the Copa system). To sum up, in some case there are a lot of problems. Great info! Searching partner availability can be tiresome. A good phone agent can be invaluable. The phantoms do exist. Keep at it though. Scored some nice 1st class and great destinations in past. Sometimes it can be so frustrating trying to pin down the best flights. United’s site is great for initial searches, but even then my FFP (Aegean) doesn’t seem to get all those flights. It’s all very hit and miss, makes it much more satisfying when you eventually get the booking you want! Thanks for the useful information on this article. My question is simple, let’s say I have an Aeromexico frequent flyer program which partner with Sky Team. When I want to redeem my miles on any airline on Sky team, should I go into my Aeromexico frequent flyer program and it is going to find me a fly on Sky Team? Or should I go to the Sky Team web page and write my frequent flyer number there?? There is basically no such thing as a “Saver” Award in Business or First Class on United operated flights. Finding one is like finding a needle in a haystack. It’s a joke. Just plan on booking a premium award on a partner airline if you have the points. Everything about the Big 3 has a similar ring to it: devaluation of the product disguised as cleverly worded monikers like “Everyday Awards”, “Basic Economy”, etc. It seems to be getting harder and harder to find the saver awards on American Airlines. So, if I have United miles and want to go to Hawaii, how do I book using Singapore? I can see availability for my cities on the dates I want on United but want to use less miles. If I try to do it on Singapore’s site, my origination city won’t take. You cannot. You must have miles with Singapore to redeem with Singapore. Think of each as a currency. For example, you can’t use Euros to buy something at your local Best Buy or Target in the US — you’d need US Dollars. I have Skymiles but want to use less than the 285,000 mileage points they want for a round trip first class from PHX to MAD. (No business class option). I was going to see if Flying Blue would require less miles. Do I need a Flying Blue account to even see this information? Also, I think my concern is similar toCamilla’s above? If so, how then do I use my Skymiles for partner airline redemption? Sorry, I’m a novice, need more details than the rest. 1) Delta doesn’t sell first class international tickets. Perhaps you’re seeing first class on the domestic flights and business class on the international segments? 2) If Delta is charging 285,000 miles my gut says all of the flight segments are on Delta and they’re charging you a premium for access to those seats — which means those seats wouldn’t be available to members of Flying Blue. Remember, Delta (along with all other airlines) offer up X amount of seats on their aircraft to partner airlines for redemption with miles. When those seats are gone the only people that can book those seats with miles are people using miles in the native program (SkyMiles in this case). You should expect to see a price more in the 140k to 170k round-trip with Delta for it to be bookable by a partner – https://awardwallet.com/blog/unofficial-delta-skymiles-award-chart-flights-us/. 3) If you search through Flying Blue and don’t see any of these flights, it simply means that Delta has either not released any seats for partners to book or that those seats have already been booked. I understand this premise, but execution is eluding me. I fly AA for work, but also have CSR. So before booking a sAAver flight, it’d be smart to look at partnering sites to see if they’re listing it for less, use UR points, & save my AA miles for another day? Sorry, I don’t quite follow your comment about “see if they’re listing it for less” — Perhaps you could provide an example of a specific trip you’re thinking about taking and use those flights/origin/destination as an example — then I could give a little more insight. As in, if I found a sAAver flight from clt-mad for 45k miles, there’s a chance BA might list the same flight for less? If so, my best bet would be to convert UR points to Avios & book through BA to fly on AA metal?